I want my days to mean something, not just in what I do, although that’s important, but in who I am. I figure if I get the ‘who I am in Christ’ worked out, the ‘what I do’ will take care of itself. I’ve lived a lifetime from the outside in always searching for the next thing, looking outside of myself to find happiness. Only after the death of my dearest friend did I learn to stop. To appreciate. To love and to accept love. Once we learn the magnitude of who we are in Christ, in the Holy Spirit, of the Holy Spirit, we discover what life really is all about. As our days continue, we should strive to focus first on our insides. Spirit. Emotion. Love. The outward activities in life otherwise take hold and take over. They cover up the happiness and joy we are meant to know by stressing us out, causing us to become tired or angry, or feel inept. Only through intentional effort can we maintain focus. This year, 2015, I plan to work each month on the inner me. As I mentioned already, when we do that, focus on who we are, the outside things tend to fall in place. What better time to talk about new creations than the start of a new year when people are making resolutions. Instead of resolutions, consider just making an intentional effort to grow closer to God. We don’t have to wait until January 1 to become new creations. Every moment we choose to recognize the love that is God within us and to live that love we are becoming new. Without love, we have nothing. No, I’m not talking about the chocolate giving, stuffed animal cuddling love (although those things are nice). I mean the full, unconditional love that is God for us and within us. While Valentine’s Day is fun, let’s remember the whole truth of God’s love for us and our call to love others in the same way. What can you do in His love this month? As we grow together in Christ, let us take the ‘weeds’ of our lives and burn them, making more room for even more nourishment and growth in Him. *April – Christ is Risen! I am an Easter Christian celebrating the resurrection of Christ and His rising in me each moment that I acknowledge Him and allow Him to guide my life. How do you know the story of the resurrection not just as something to read about but as something that happens within you throughout your days? Which are you? Are you producing a crop? If not, why not? What steps can you take to understand and grow from Jesus’ parable? Hebrews 4:9-11 There remains, then, a Sabbath-rest for the people of God; for anyone who enters God’s rest also rests from their works, just as God did from his. Let us, therefore, make every effort to enter that rest, so that no one will perish by following their example of disobedience. It seems when I ask a friend or co-worker how they’re doing, their first answer always has to do with being busy. “I’m so busy,” they say. “Ohh, I have so much to do.” or “Busy, busy, busy” (that one’s my favorite). We take pride in how much we do; it’s become something of a status symbol. But Hebrews 4 tells us we should make every effort to rest else we may perish. How can we do God’s work if we’re too worn out? We can’t. Where do you need to cut back today in order to rest and refresh? Romans 13:1-5 Let everyone be subject to the governing authorities, for there is no authority except that which God has established. The authorities that exist have been established by God. Consequently, whoever rebels against the authority is rebelling against what God has instituted, and those who do so will bring judgment on themselves. For rulers hold no terror for those who do right, but for those who do wrong. Do you want to be free from fear of the one in authority? Then do what is right and you will be commended. For the one in authority is God’s servant for your good. But if you do wrong, be afraid, for rulers do not bear the sword for no reason. They are God’s servants, agents of wrath to bring punishment on the wrongdoer. Therefore, it is necessary to submit to the authorities, not only because of possible punishment but also as a matter of conscience. In the United States, July 4 is a time for fireworks and burgers on the grill. Where I live, a huge carnival comes to town complete with rides, cotton candy, and games. Let’s not forget in our celebrations to remember what we are celebrating – our country. No matter which political party we support, it’s important we are encouraging and positive about whomever gets elected to office. Isaiah 4:6 It will be a shelter and shade from the heat of the day, and a refuge and hiding place from the storm and rain. The Lord will create a canopy to shelter us from the heat. Take a look at this scripture spiritually and not just literally. What ‘heat’ are you facing? How has God sheltered you from the worst of it? Of course we have to work to make a living; we need to provide food, shelter, and clothing. It’s even important to work for things that bring us enjoyment. However, when we get wrapped up in working and working just to make more and more money or to buy more and more things, we’ve lost sight of the true purpose for our lives. Let’s focus our efforts on working towards those things that spread God’s love. In which areas will you direct your time and attention? In the spring, we planted for the harvest. Now, the time has come to gather all together in God’s name. I’ve never been one comfortable inviting people to church and maybe you aren’t either (if you are, God bless you! ), but there are other ways we can harvest people for Christ. Donate items, serve at a soup kitchen, be patient and kind, be vocal that you are happy because you know the real joy that comes from God. How do you harvest now? What more can you do? Psalm 100:4-5 Enter his gates with thanksgiving and his courts with praise; give thanks to him and praise his name. For the Lord is good and his love endures forever;his faith fulness continues through all generations. I’ve always found it easy to appreciate the ‘big’ things in my life: good health, nice home, great kids, extended family. When I participated in a Bible study over Ann Voskamp’s book, One Thousand Gifts, I learned to take note of the small things, too. In my post 40 Little Things I’m Thankful For, I shared just some of them. The list, though, is endless. And the great thing about noticing and appreciating the little things? When you’re that busy appreciating, there’s no time for all the negative thoughts and emotions that like to sometimes takeover. What little things are you thankful for? Isaiah 9:6-9 For to us a child is born, to us a son is given, and the government will be on his shoulders. And he will be called Wonderful Counselor, Mighty God, Everlasting Father, Prince of Peace. Of the greatness of his government and peace there will be no end. He will reign on David’s throne and over his kingdom, establishing and upholding it with justice and righteousness from that time on and forever. The zeal of the Lord Almighty will accomplish this. And we’re back to new creations in the birth of our Savior, Jesus Christ. While we celebrate a new year in only a month, we now celebrate a new life, for us and within us. Christ was born. Christ is born in us every moment we live in love. Amen. 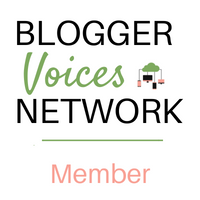 This post is part of a huge collaboration of bloggers working to help you make 2015 your best year ever! Check out all the posts below for motivation and inspiration! Want to remember this? 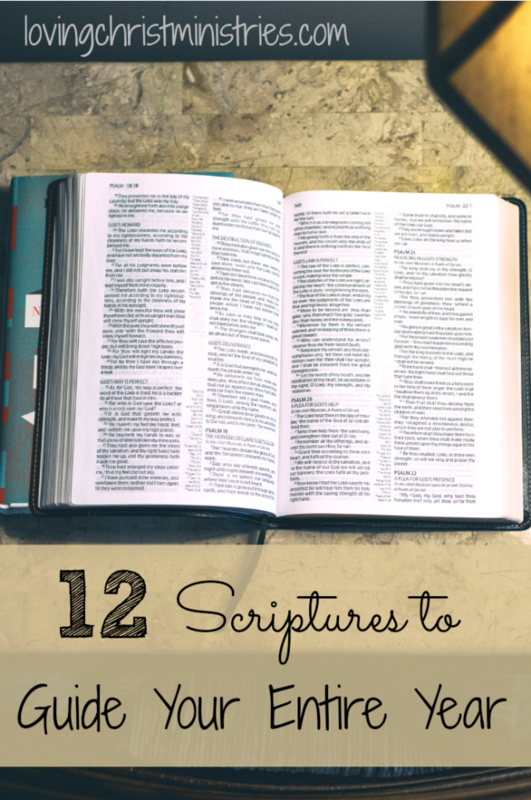 Post these 12 Scriptures for Goals and Guidance to your favorite Pinterest board! I love how you found a verse for each month of the year! Looking forward to reading through these posts! Hi Debbie! Smart Mom! 🙂 Thanks for stopping by! 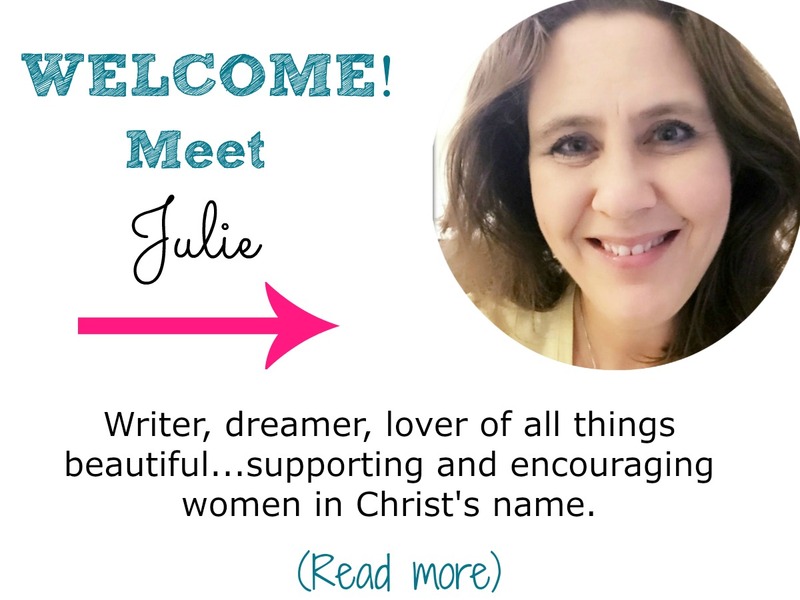 Great verses here and I love the link-ups here for resources! I wish I had blogged about this…maybe next year! Love using passages to focus my month and my year! Thanks, Bethany! I love the focus of scripture, too! What a fantastic way to have focus scriptures for each month. Thanks so much. Thanks, Sarah! I’ve learned that if I don’t plan and focus, I just don’t take the time! God bless! I love this focus. I really like the lesson for July. I tell the kids that all the time. Ellen, it’s a tough one to remember when we don’t agree with what’s going on, but I think it’s so important. I am trying to instill that in my kids, too. Thanks so much for stopping by and commenting! God bless! When I began reading this, I was reminded of Matthew 23:25 where Jesus says “Woe to you, teachers of the law and Pharisees, you hypocrites! You clean the outside of the cup and dish, but inside they are full of greed and self-indulgence.” It is so important for us to be intentional about the condition of our hearts. You have laid out a great outline for a heart-renewal process – one step at a time. And since it takes three weeks to form a habit, a new focus each month is a great timeline! Love it! Trish, I love your thoughts and related scripture. It’s so true that we need to be intentional about the condition of our hearts. Thank you so much for sharing. Happy New Year and God Bless!